Alexander Hellinger, DPT, MBA, oversees the operations and development of Lenox Health Greenwich Village. He previously served as associate executive director overseeing and coordinating the development of the first full service emergency department in Manhattan as well as the various facilities and programs to be developed within Lenox Health Greenwich Village including a full-service imaging suite, ambulatory surgery center and physician offices, among others. 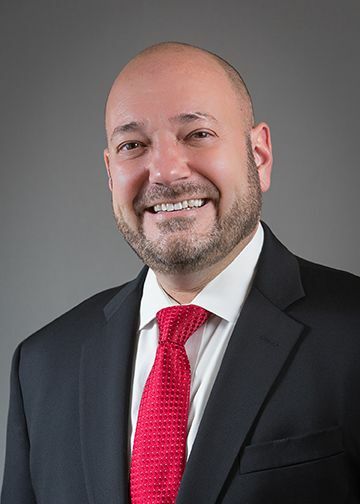 Prior to this, Dr. Hellinger was associate executive director of clinical services at Long Island Jewish Valley Stream, overseeing various departments including pharmacy, radiology, laboratory, physical therapy, occupational therapy, speech language pathology, respiratory therapy, wound care, hyperbarics, orthopaedics and the Joint Replacement Center, Spine Center and Eye Bank. In addition, he had administrative oversight of the surgical and critical care patient care units. Dr. Hellinger joined LIJ Valley Stream as administrative director of the orthopaedic service line and director of rehabilitation services. Dr. Hellinger began his career in health care as a staff physical therapist at Jamaica Hospital Medical Center. Dr. Hellinger received a Bachelor of Physical Therapy from the University of Hartford, a Doctorate of Physical Therapy from A.T. Still University and an MBA from Hofstra University.